The 2018 Jeep Wrangler offers some fresh blood to Jeep’s long-beloved Wrangler line. Lacking a major update or redesign since 2007, the new Wrangler JL brings some new features and performance in the same body-on-chassis, modular vehicle that harkens back to the manufacturing ideals of World War 2. What does this latest addition bring to the table?There are many touch ups and a slight redesign with the same basic, yet-tweaked, performance under the hood. 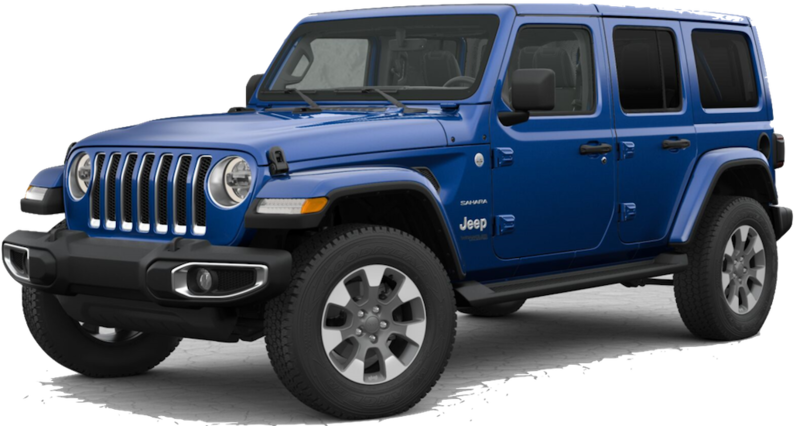 Often lauded for its engine performance, the Wrangler JL comes with a slightly updated version of the previous 3.6L Pentastar V6 engine capable of 285 horsepower and 260 pound-feet of torque. Now, you get your choice of either the standard six-speed manual or eight-speed automatic transmission as well. In general, the Wrangler retains the same commitment to flexibility and performance. Much remains the same: customizable suspension, removable doors, foldable windshield, etc. For people wanting a capable road or off-road warrior, the Wrangler has the same high-quality Jeep durability and performance it has provided for decades. Depending on the trim, the 2018 Jeep Wrangler comes with a variety of handy continence and safety features. While the base models stick with a traditional, no-frills approach, all the trims do come with a built-in infotainment system with included apps and smartphone connectivity. An optional navigation system utilizes a reliable GPS and onboard maps. For safety, the vehicle comes standard with front driver and passenger airbags, side airbags, and tensionable safety belts. A rearview camera provides extra visibility while backing up or parking. Parking and blind spot sensors will also scan around the vehicle to alarm the driver of any obstacles or other vehicles while in use. The automatic ABS and traction control features will keep the wheels from locking up or losing control on rough terrain. For off-road and roadside assistance, a built-in SOS button will contact emergency services. The Wrangler’s interior also includes a first aid kit and room for additional supplies for emergencies while out on rougher terrain. The new Wrangler comes in seven different trims ranging from base models to off-road specialties meant for people wanting extra suspension, torque, safety, and overall performance. The main trims come in two and four-door versions. All of the trims come with the same basic modularity that has defined the Wrangler line for many years, including removable doors and a foldable windshield. The top also comes with a few different options and configurations, including a permanent powered top. Wheel options include the base 17in steel and aluminum versions, along with an 18in aluminum option for greater ground clearance and traction. The Sport and Sport S trims are the standard versions of the Wrangler offerings. With the Sport, features are light for people wanting a more traditional feel and approach to their Wrangler. The lack of air conditioning (the four-door version does include AC) in combination with manual windows and door locks provide a classic feel. Modern amenities, however, do include a push-button starter and cruise control. On the exterior, twin tow hooks in the front along with a rear hook will offer a number of hauling options. The Sport S includes many of the same base features with the addition of powered windows and door locks. In addition, this trim includes power heated mirrors and the 17in aluminum wheel upgraded for a lighter weight. Both two and four-door versions come with air conditioning as well. For people wanting a trim that is more similar to other SUVs and sedans, the Sahara comes with modern comfort and safety features. Additional creature comforts include dual-zone temperature control in the front, optionally heated trim and leather seats. Exterior features include automatic headlamps, the upgraded 18in aluminum wheels for extra traction and performance, and the Select-Trac shifter upgrade on the Command-Trac 4×4 drivetrain. True off-roaders will appreciate the Rubicon trim. Heavy-duty Dana 44 solid axles keep the wheel suspension comfortable yet stiff and durable. The 4×4 system is the upgraded, electronic remote-locking differential known as the Rock-Trac system. This setup will control the torque placement between the wheels, offering better traction when the system detects wheel slippage. All terrain tires, automatic headlamps, and dual-zone temperature control round out the standard features of this trim. The 2018 Jeep Wrangler offers a couple of high-performance engine and drivetrain options. The base engine, carrying over from the previous generation with minor tweaks, is a 3.6L Pentastar V6 with 17/23 (city/highway) fuel economy. With 285hp and 260 pound-feet of torque, this standard option is enough to pull up to 2,000 pounds of towing force. Transmission options include the standard six-speed manual and an eight-speed automatic transmission. An optional four-cylinder, turbocharged engine will be compatible with a hybrid drivetrain. The 2.0L V4 engine will top out at 268hp and 295lb-ft with an eight-speed only automatic transmission, making it a great option for people wanting a better fuel economy from their off-roader. In 2019, Jeep will also introduce a 3.0L turbodiesel engine to accommodate those not satisfied with the gasoline-only options. Being ready for the hard trails, the Wrangler trims come with several 4×4 drivetrain options. The base models come with Jeep’s Command-Trac 4-wheel drive, while the upper trim upgrades to the Rock-Trac 4×4 system. With both four-wheel drive systems, the drivetrain intelligently maintains stability and traction as you drive. This system will kick in when it detects a loss of traction, transferring torque to the appropriate wheels for better control and accident/rollover prevention. Come down to Keene CDJR in Keene NH! 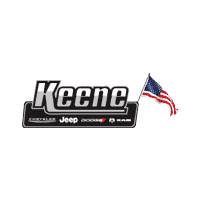 Keene Chrysler Dodge Jeep RAM is the dealership you go to when you want an expansive inventory of new and used cars with some great service. We make it easy to find the right care you are looking for. Best of all, we work with you to determine what you need, want, or can afford on any budget. Our staff knows their stuff. Any questions you have will be answered with quick and accurate information each and every time. Need extra service? We can provide that too. From simple repairs to a complete overhaul, our service center is second-to-none when it comes to quality and timely service. Bring your vehicle in anytime to see what our qualified mechanics can do for you in a pinch. We know that issues come up anytime when you least expect it. That’s why we will take your car in and get it back to you as quickly as possible. For the rare moments when an issue does arise, you can trust us to get the job done quickly and completely so we can minimize the inconvenience. Our inventory of new and used cars is also second to none compared to the competition. Carrying several popular makes and models of cars, trucks, and SUVs, we have something for everyone. When you come in for a new vehicle, we will listen to what you need to find the best options. We also present all the information you need upfront so you aren’t blindsided by any unknowns. Get the price and the particulars all at one before making any major decisions. That is the Keene CDJR advantage. Come check out the 2018 Jeep Wrangler in Keene, NH today.